Tartan Collection of Kitchen And Table Top Accessories. Coordinating 72" Runner, Napkins, Placemats, and Kitchen Towels! See below for detail on wholesale quantities. 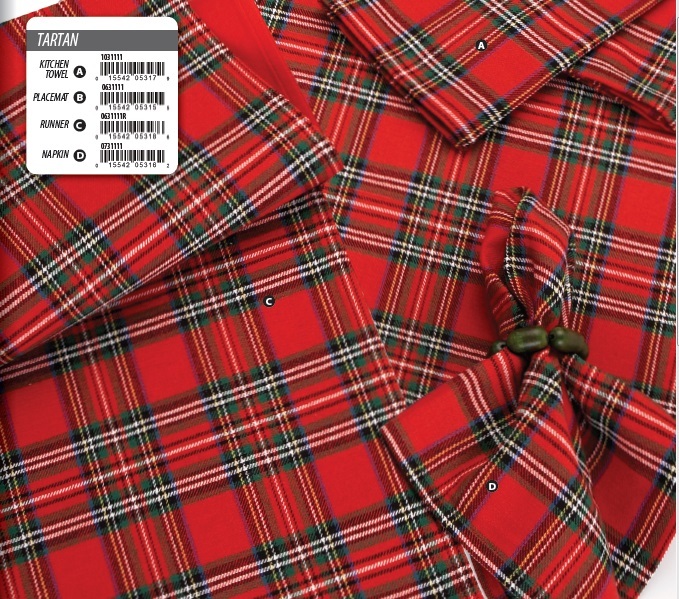 Traditional Tartan Plaid perfect for winter and the holidays. 100% Hand-loomed Cotton. These items are affordable and beautiful. Great quality at reasonable pricing.